Theme Party Inspiration: Candy Conversation Hearts — Everybody's Invited! Conversation hearts say it all; nothing can express true love like little tasty candies! We created a Candy Hearts Party Pinterest board full of playful pastel party ideas with (you guessed it) lots of hearts! Below are some of our ideas, but check out the Pinterest board for more. Handwrite a little love letter inside these cute invitations, and give them to guests along with a box of conversation hearts. Spell out your true feelings on this personalized candy heart garland. You definitely can’t have enough candy hearts at this party! Fill these adorable heart-shaped dishes to the brim. 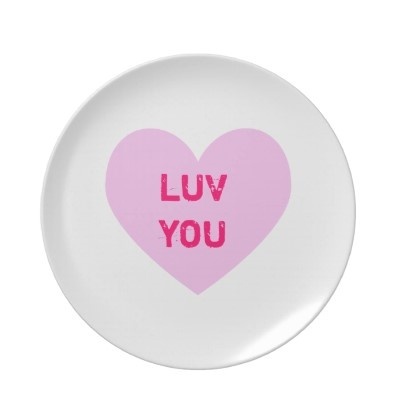 These conversation heart plates are perfect! Use them as decoration, or let guests pile them high with sweet treats. 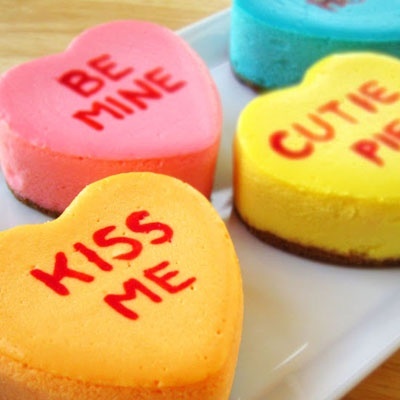 Speaking of sweet treats… Conversation heart fudge, cheesecake, macaroons, and martinis should be on the menu! Let guests say exactly what they want to say with DIY candy hearts (write on them with food pens!). You could also let guests’ romantic sides run wild by challenging them to write poems using their very own DIY conversation hearts. Wear your heart on your sleeve in this darling dress from Modcloth. 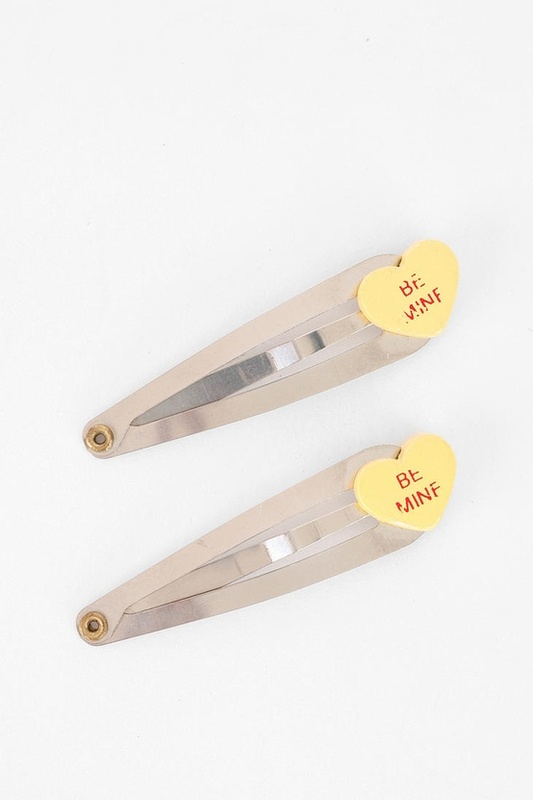 Bonus party points for you if you have a heart-shaped face to frame with thesecandy heart hair clips. We’re swooning over this candy bow tie for the gentlemen guests. Have you ever hosted a Valentine’s Day party (as a kid or grownup)? What would be your ideal theme for a Valentine’s Day party? P.S. If you need Valentine’s Day gift ideas, ask us! We love to help with that sort of thing.